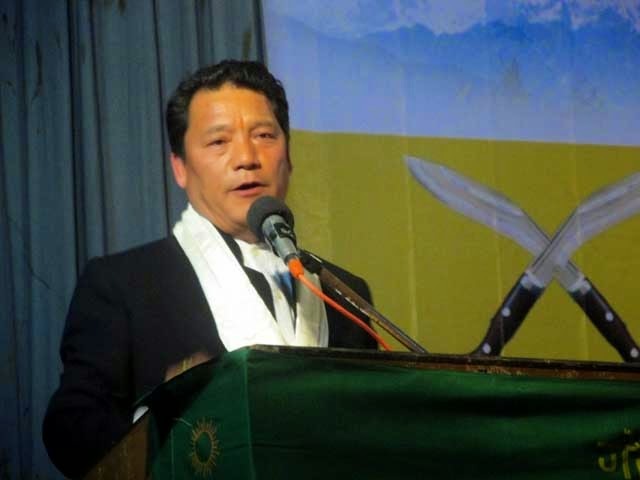 GJM Chief Bimal Gurung when asked about the arrest of GTA Chairman Pradip Pradhan and Student wing leader in Siliguri today said in Kalimpong that he has no detail about the arrest. I heard after reaching Kalimpong today. But if it is a political arrest then we will politically be fighting but i cant comment until i know the detail he added. Meanwhile Binay Tamang Assistant secretary of the party smelled political move behind the arrest. He said at a time when he has fixed our Delhi program the arrest has come. It is just a move to derail our movement he added. He have the knowledge that they were in Siliguri to arrange ticket for Sabhasad , elected Muncipal councillor and Student going to Delhi . We strongly condemn the move and demand immediate released of all arrested.